Previous to this summer's trip to Maine, we'd never seen a moose in a state supposedly full of them. We saw one out west, in Yellowstone I believe, but never, ever in Maine. They're shy creatures and usually keep out of the way of people bearing cameras. No wonder they're so difficult to spot. But every year we've gone out east I've said to myself, with great optimism, "This will be the time! We WILL see a moose! I can feel it in my bones." And both times before this I was disappointed. For once Mother Nature was on our side, and we spotted this superb animal. Nothing can prepare you for the sheer size of these creatures. Nor their majesty. They are out of this world magnificent. No wonder traffic piles up whenever they're spotted. 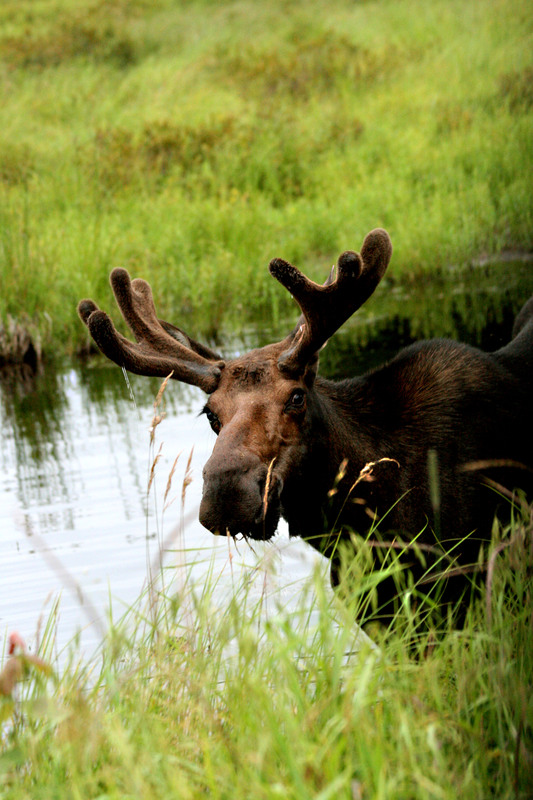 But when this bull moose finally got the hint we were looking at him, he started looking at us. That's around the time we started screaming, "LET'S GET OUT OF HERE!" Because this thing, you'll have to trust me, is GINORMOUS. And I couldn't help but imagine his antlers in the side of our van. Or, worse, the side of one of us. I believe they're vegetarian, though I'm sure they could do all sorts of interesting things to creatures they see as threatening. Another thing checked off the life list. 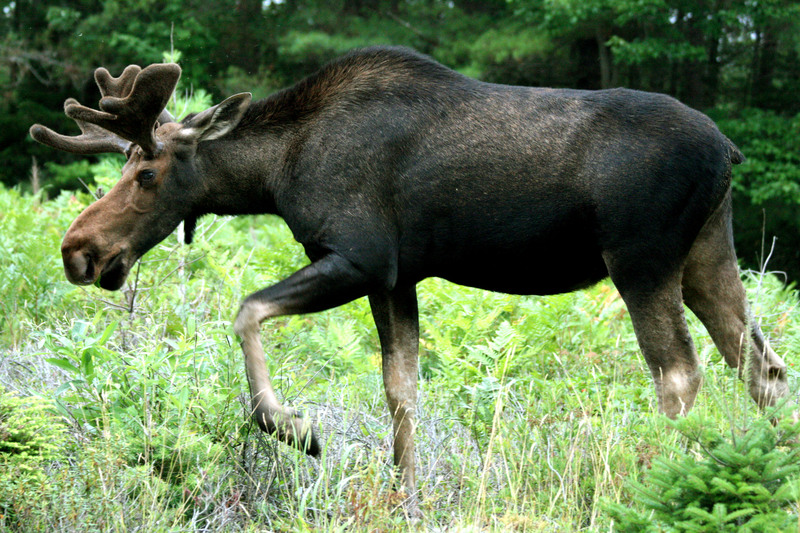 We've officially seen a moose in Maine. And thank goodness for zoom lenses or I may not be here to tell you about it. 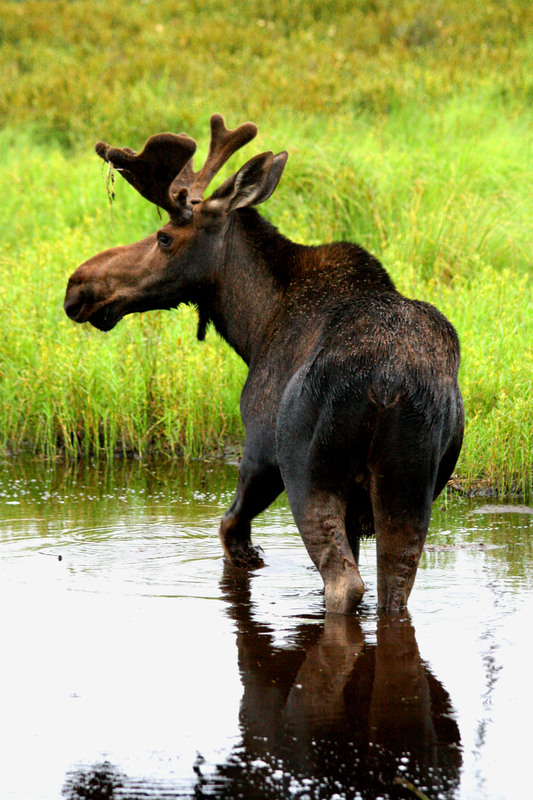 Those are some great wild-life photos, I’ve been lucky enough to see a Moose in person as well. Their size is truly breathtaking. Next Post LET’S GO WHITE SOX!